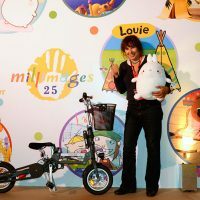 Millimages, the European leader in cartoon films, famous for its series Molang, celebrated its 25th anniversary at MIPJunior 2016. 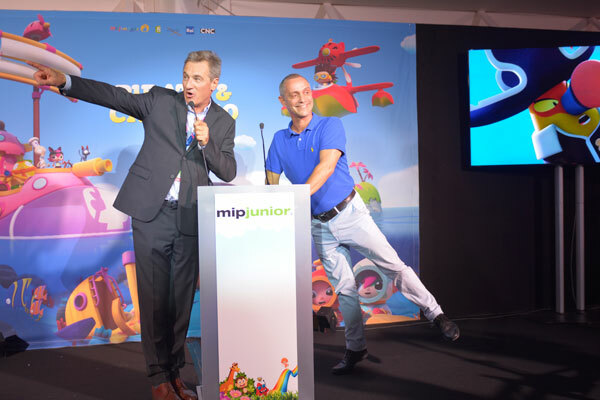 Millimages, the production and distribution house of cartoons and animated films, took the opportunity of the 2016 MIPJunior opening night on the beach of the Grand Hyatt Cannes Hôtel Martinez to celebrate its 25th anniversary. 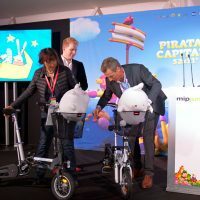 To make the celebration even more successful, Millimages had three of the many participants who came to shop in the largest digital library of the world win a nice folding bike. Flagship of European animated films, Millimages offer quality and creativity programs recognized by professionals worldwide. Its cartoons are broadcast on most channels in France and abroad, through its distribution centre based in France. Today, the company boasts a catalog rich of more than 500 hours of programs. Its activities have recently diversified by developing a real digital and new media expertise. 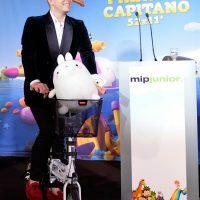 Managed by Roch Lener, Millimages multiplies success with series like Mouk and Didou, two series produced by France Televisions or more recently with Molang initiated for the Canal+ group. 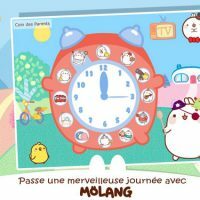 The Molang series includes 104 episodes of 3.30 minutes; it is produced from an emoticon and was seen by over 35 million American children on Disney Junior US. A second series of Molang is in production and should soon be released, for surely the delight of many small viewers worldwide. 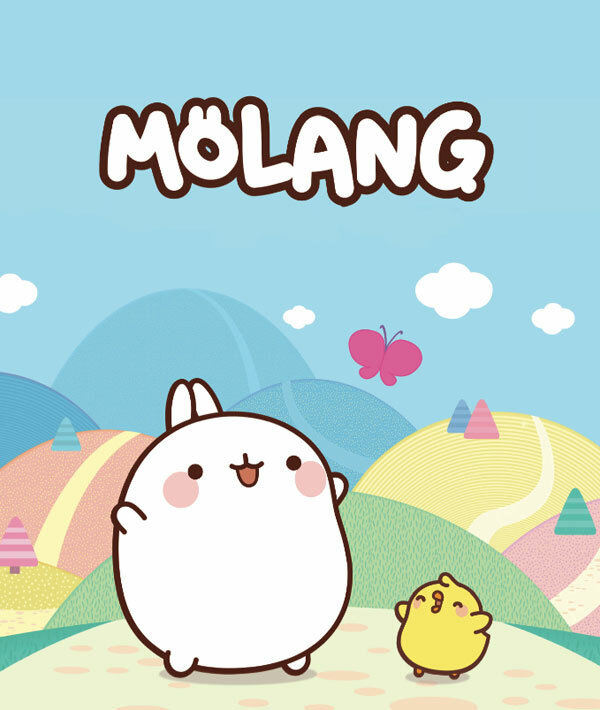 Molang was born in 2010 on the personal blog of its Korean creator, Hye-ji Yoon. He made his debut as stickers and smiley, and was an immediate success with over 160 000 downloads in Korea and 300,000 in China. 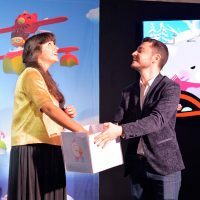 In 2013, he was overtaken by Millimages production company to be interpreted in animated series around the concepts of happiness and optimism. 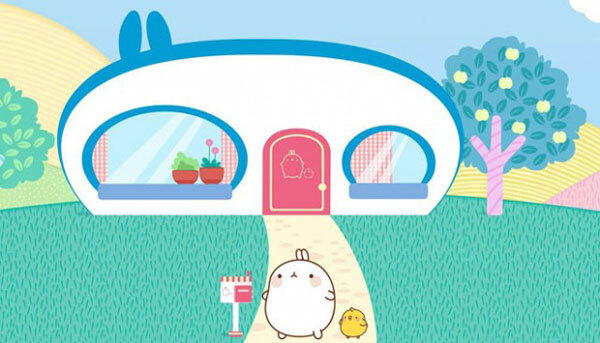 Molang is a round rabbit which makes every moment of his daily life a unique and wonderful moment, bringing particular attention to every detail, giving things an unexpected flavor. Molang puts his heart in what he undertakes and he has a heart “this big”. Even when Molang does nothing, he does it well! When cooking, Molang dons an apron and a cap. 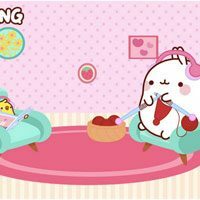 As Molang is gourmand, he loves strawberries. It is his weakness. Only strawberries can turn away his attention to the point of being able to forget Piu Piu for a strawberry! If he goes to garden, he carefully chooses his straw hat and his boots. For each activity Molang has an appropriate attire. Has he lost his keys? Hop! He dresses like a detective to find them. Molang does not forget his kilt to visit Scotland or his sombrero for Mexico. Blues Brothers’ sunglasses or bowler, trapper’s snowshoes or surfboard, space rocket or shiny Vespa to visit Italy, Molang is the king of costumes and accessories. 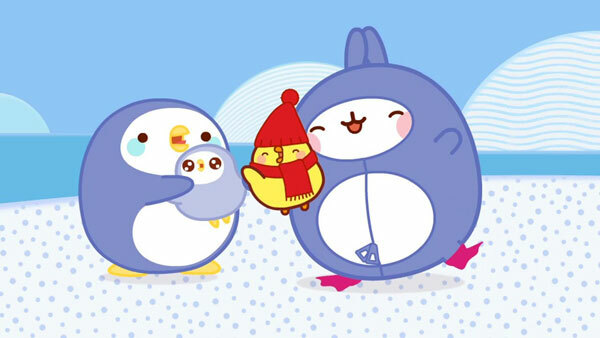 Molang is sharing his world with his inseparable friend Piu Piu, a small, just as curious, yellow chick. If he appears to be even-tempered most of the time, Piu Piu is quiet, shy and reserved, he takes great care to make things right. So, when something unexpected arises, it is quickly destabilized or panicked. Piu Piu is a great emotional that can suddenly show his dismay. 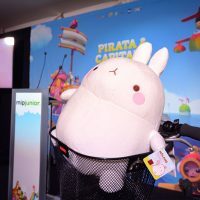 Molang and Piu Piu are surrounded by friends they most often found at the end of each episode, in some improbable happenings in which they play football, go picnicking, form a rock band… The buddies all look like Molang. They are gray, brown, spotted or streaked. 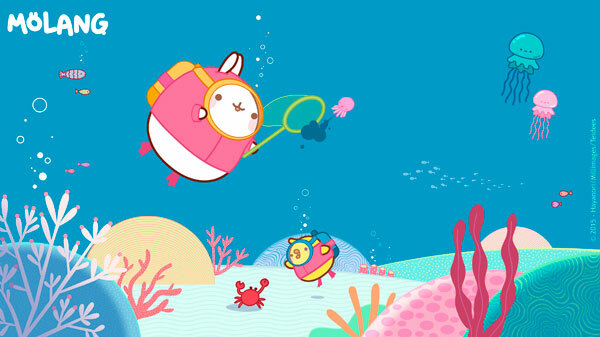 In Molang’s country, there are unforeseen mishaps, misunderstandings, surprises but no disagreement or dispute between the characters. Each makes the other find happiness despite the vicissitudes encountered. It is a resolutely optimistic series, which highlights the attention to others, generosity, mutual assistance, imagination and sharing. 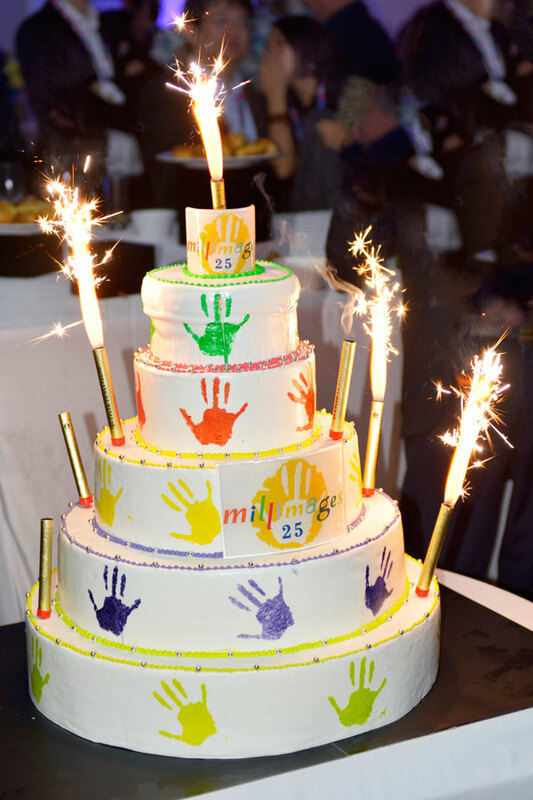 The MIPJunior is the international market for youth programs. 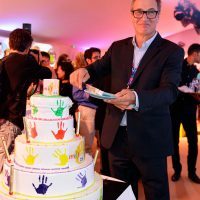 Taking place in Cannes just before MIPCOM, it is the key rendezvous of producers and distributors of content for youth for television, cinema, Internet and digital media. 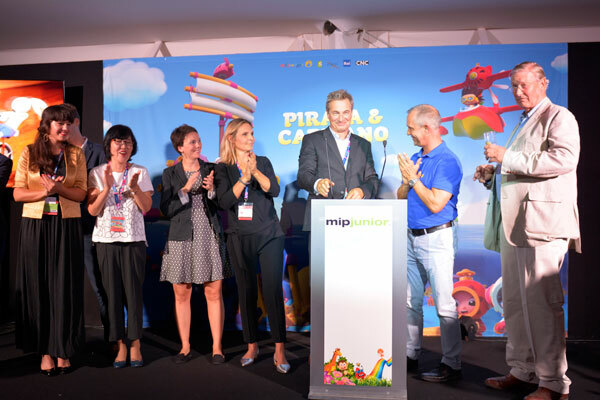 500 buyers watch more than 1,000 titles in the largest digital library of its kind in the world, making the MIPJunior the unmissable venue for managers wishing to present, plan or acquire the latest programs.